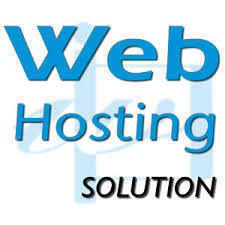 Any website needs the hosting service for make it accessible online. But good web hosting service should be secure, optimized and SEO friendly. Web servers should be 99.9% uptime so that search engine and your customers do not face any problem while accessing your website. Our web hosting service includes all these essential features which make your website really accessible and user friendly. Our web hosting service also provides SSL Certificates which guarantees high security for your website or web application using “HTTPS” Secure Protocol. Multiwebtech is an IT company which especially working in the field of website designing and development since 2007. Multiwebtech actually means "Multiple Web Technologies" and we choose this name because we are working on a lot of web technologies in order to deliver the creative, optimized, error free and highly qualitative website to our customers. Our marketing professionals understand the concept and requirements of the customers in a very professional and concise way and deliver the cumulative content to the development team. We have a dedicated team of website designers and developers who really take care of the customer’s reputation across the web.